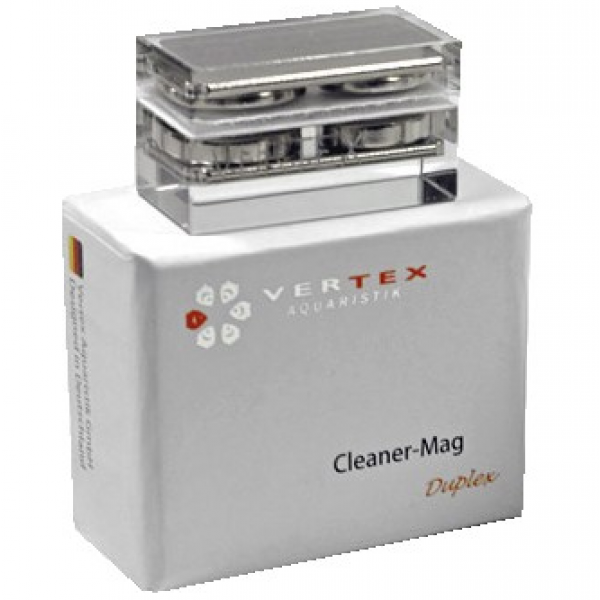 The Vertex Duplex cleaning magnet is an elegant way to clean the algae from the glass on smaller tanks that are made from thinner glass up to 8mm (3/8") thickness. The outside piece is a low profile Acrylic rectangular block that encases one magnet, while the inside piece is also rectangular to accommodate better cleaning of the aquarium edges and hard to reach corners. Smooth white satin fabric is attached onto the outside piece to stop any possible scratching of your aquarium. Coarse white fabric is attached onto the inside piece to clean the glass. For long many different aspects of reef keeping has been associated with bulky items such as oversized Cleaner magnets and unorganized Sump/filtration systems. In quest of making our hobby both functional and visually appealing multilaterally, the Mag-Line concept was conceived. Mag-Line products consist of magnetic accessories and devices manufactured with precise CNC machines to accent one’s desire to aim for perfection in design and display rather than; “out of place eyesores”. Fabric covers which are Self-adhesive and replaceable. All pieces have been individually milled from the finest quality cast PPMA and polished to perfection before assembly. In most cases each piece has been machined and processed in more than one position by different milling and/ or turning techniques. All edges have been beveled and polished to truly represent the Vertex™ vision of “Form-Perfect while functional”. Accessories are one of the most important items used when constructing a showcase. Some perform a function such as cleaning your glass-panes and some act as an interface making the use of another device possible; such as sensor-holders. More often than not the design is scarified for functionality. Through Mag-Line Concept Vertex™ strides to bring about perfect marriage of “Form and Function”. Having said that, it has been and remains to be our goal; to deliver these minimalistic objects in a way that they do better than their bulky predecessors. In Mag-Line series we have envisioned these objects in a low profile, transparent shade and forms that support themselves by rare-earth magnets and will add to your display rather than becoming a necessity that you are trying hard to conceal. Mag-Line products are RoHs compliant and free of led and/ or any other contaminants covered under RoHs test Guidelines. Magnetic cleaners play an important role in daily upkeep of Aquaria. While they do make our lives much easier one must always endure the unsightly look of mega size blocks outside the Aquaria. Cleaner-Mag products not only function as described but also add to the visual appeal of your display. Outside piece is a low profile cylindrical Acrylic cylinder that encases one magnet. The inside piece is square to accommodate better cleaning of the edges and hard to reach corners. Smooth white satin fabric is assembled onto the outside piece to stop any possible scratching of your aquarium. Coarse white fabric is assembled onto the inside piece to clean the glass. Simplex is designed for smaller Aquaria that are made from thinner glass up to 6 mm. 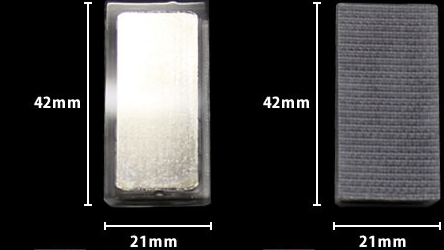 Outside piece is a low profile rectangular Acrylic block that encases two magnets. The inside piece is also rectangular to accommodate better cleaning of the edges and hard to reach corners. Smooth white satin fabric is assembled onto the outside piece to stop any possible scratching of glass panes. Coarse white fabric is assembled onto the inside piece to better clean the glass. Duplex is designed for small and/ or medium tanks that are made from glass up to 8 mm thick. Triplex; as the name suggests 3 magnets have been utilized in this design which makes for much stronger cleaning device. Triplex is designed for any Aquaria with glass thickness up to 12mm. Increased surface of Triplex also accommodates cleaning of larger area per stroke and suitable for larger systems. As the rest of the Cleaner-Mag line products; Smooth white satin fabric is assembled onto the outside piece to stop any possible scratching of your aquarium and coarse white fabric is assembled onto the inside piece to clean the glass. Other products used to accomplish the same task are extremely bulky. Triplex accomplishes its task without taking away from your perfect aquatics display.